20 Percent Down Payment - Debunked or Not? Whether you’re a first-time homebuyer or a seasoned veteran of the house purchase process, you’ve likely heard this adage: “Thou shalt put 20 percent down!” It’s so entrenched in people’s psyches that many consider it to be a sacred rule. But is it happening in today’s marketplace? What Makes 20 the Magic Number? The answer is simple. There are lots of reasons and it’s a smart financial decision. There’s a significant upside for borrowers who can afford a bigger down payment on a house. First and foremost, the larger your down payment, the less you have to borrow via a mortgage. A smaller mortgage means you’ll pay less in interest charges over the life of the loan. When issuing a mortgage, the bank takes the down payment into consideration during the underwriting process. Banks view the down payment as a measure of risk. Borrowers who put more down appear less risky to lenders. Banks are more willing to reward those folks in the form of lower interest rates. Here’s another reason to shell out 20 percent up-front. 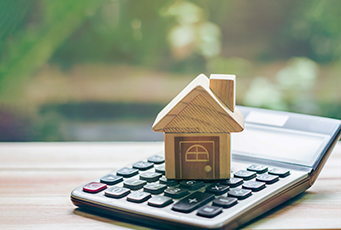 If you finance more than 80 percent of the home, your lender will typically charge you an additional monthly fee called Private Mortgage Interest (PMI). Traditionally, PMI is charged every month until you reach a position of 20 percent equity. Think back to the housing crisis that rocked the U.S. in 2008. Does the term “underwater mortgage” ring a bell? That epidemic makes a great case for why you should still make a healthy down payment! Bottom Line: A 20% down payment means your house will cost you less in the long-run and potentially allow you to avoid the impact of a negative change in the housing market. Now that makes for a good financial decision! Modern home buyers pay little attention to what was once a rule of thumb. In fact, according to the National Association of Realtors, in 2017, first-time homebuyers typically financed 95 percent of their homes. That’s a down payment of only 5 percent! Even more surprising, the association discovered repeat buyers financed 86 percent of their new homes. That’s an average of only 14 percent down. Per this historical data, you can see, you don’t have to let the 20 Percent Rule stop you from becoming a homeowner. If you can accumulate the cash to make a 20 percent down payment, that’s the best option. However, it’s not necessarily a deal breaker to fall short of that once “prerequisite” minimum down payment. You are simply subject to the extra costs and hazards mentioned above. If you don’t have the ability to accumulate the ideal down payment, but buying a house is a top priority, today’s lending practices are prepared to accommodate. Generally, these options are subject to the borrower’s income, can require a minimum credit score, or may be limited to buyers in specific situations, such as first-time homebuyers or Veterans. Federal Housing Authority (FHA) loans are backed by the U.S. government and can require as little as 3.5 percent down. Conventional loans typically require a minimum of 5 percent down. Assistance programs for local home buyers are available that provide benefits such as Down Payment Assistance, 100 percent financing, and loans without PMI. Indiana offers several state-level programs through the Indiana Housing and Community Development Authority. At the local level, the non-profit Indianapolis Neighborhood Housing Partnership® (INHP) offers mortgage products with similar features. Financial assistance may be available when buying a home in targeted neighborhoods. To take part in these programs, you may be required to jump through a few more hoops than if you work through traditional lending channels. Some programs may require the borrower to go through credit counseling or educational courses. There are options when it comes to making a down payment on a house. Buying a home is the American dream, but it is an expensive venture. You need to make the best financial decision for your situation.